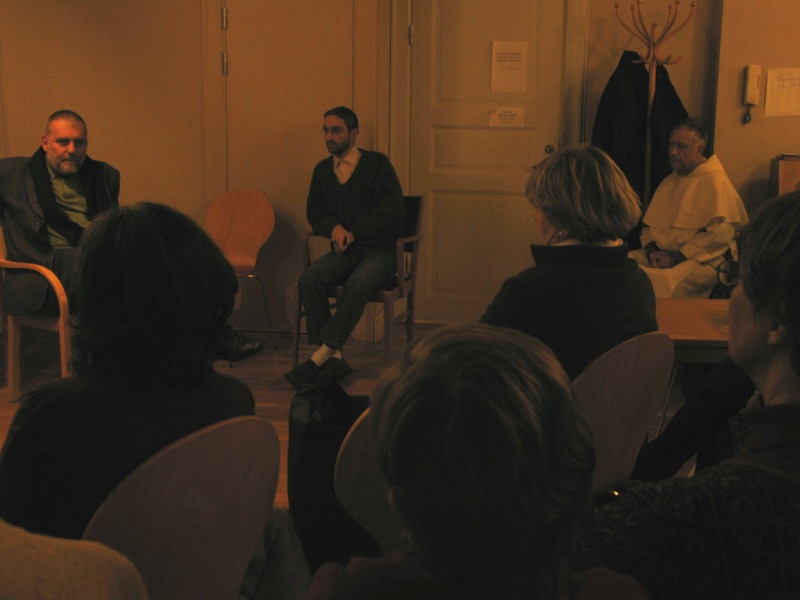 Tuesday Feb 2nd and 16th at 7.30 pm: –Taizéprayer and gathering (every 1st and 3rd Tuesday). Saturday Feb 6th : –Foodcollection for homeless outside Malmborgs ICA – Nestors idea to ask people to buy stuff a give to distribute to homeless people in Lund . OBS time and day not finally decided, but look for more on the blog, or contact Nestor. It you would like to prepare the meal already on Saturday it simplifies things. Is there someone who could take the responsibility and gather some people? Pease contact Benoît. Monday Feb 8th 7pm: – Reading of Gospel of Luke and talk about it. We could do this 2nd and 4th Monday/month if you want. Let´s talk about that. But now we start – you could contact Verena or me for suggestions or questions. Saturday Feb 13th whole day: – Excursion to Halmstad, a coastel town 120 km north of Lund. We´ve been invited by the student/youth group of the Catholic parish in H, with whom we met in Lund during the Taizémeeting i November. Program together with them: visit, meals, prayer, singing, talk etc. Cost: ca 200Skr (train or car) +meals. Put your name on the list or when we meet latest Sunday Feb 7th, we must let our host time to prepare. We met a Sunday and discussed about what we are doing together. I´m very happy about our different meetings, so good athmosphere, often interesting talk, strong prayers (like last time Taizé), people engaged, taking initiatives and helping with things. And I think that when such things happen, we shouldn´t forget to give thanks to the Lord, who brings us together, from all over the world and makes us one body in Him. Give thanks- because our efforts are not enough to create good things. We can prepare, stay open to possibilities, but at the end the Spirit blows where it wants, and we can´t decide the fruit of our actions. So let´s give thanks for all good fruits and for life itself! And pray for good times to come. We talked when meeting of having prayer evenings and adoration of the Sacrement more frequently, like from early evening to nighttime, where people could pass by, and also do other things in our room next to the chapel. And we talked about a retreat in May at the monastery of the Dominican sisters outside Lund We´ll come back to this. If you have more ideas of things to to together – if could be anything – take it up and talk to others – talking does make things happen. Meeting with Father Paolo Dall´Oglio, refounder of the monastery Deir Mar Moussa in Syria. Thoughts and practice about dialogue with Islam – a very interesting person on a very actual topic, welcome.